Part of any golfer’s off-season training program includes jumping on and off golf’s bandwagon. That 2 or 3 foot jump in the air builds muscles, dexterity, and coordinated movements needed to a great golf swing. The only hazard to this exercise is falling short on the jump and driving your body into the lip of the bed of the wagon. It smarts like heck, but most avid players shake it off and continue with their training. Personally, I have never been a fan of jumping on and off the bandwagon. I find it generally creates discourse in my attitude towards the game. One week cheering for a player, then the next week saying that you say their demise coming seems a bit fishy to me. However, this is a favorite sport of the golf media and I am not convinced it achieves the goal they expect. The recent changes to the golfing world of Jordan Spieth returning to the top of the golfing world or the multiple scenarios of Dustin Johnson taking top spot or the rise and fall of Tiger Woods demonstrates that the media will write whatever way the wind blows to sell copy. I actually can respect their actions because golf is an industry and this is one way to pay the bills. On the other hand, this methodology, in my mind, drives discourse and has a tendency to be considered ‘white noise’ to most readers. It does, however, create a throng of followers participating in the off-season training program of bandwagon jumping. But what is the alternative you may ask. That is a great question. I try to read articles that are less hype and more substance. They are hard to find sometimes, but like all things I must look at a 100 articles before I find that few of interest. I guess it is kind of like fishing – I have to cast hundreds of time before catching a fish. An article if found interesting was The Nine Most Eagerly Awaited New Golf Courses Of 2017 by Forbes Magazine. 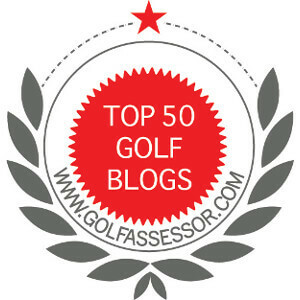 It was informative, provided reasons for their choices and provided me with so knowledge of the golf industry. This article did not try to sell me anything, nor did it profess to improve my game in just 5 minutes a day. It was a good golf article that I enjoyed reading. “At 100, she still loves golf “ – How about a good news story about a woman who is 100 years old still playing golf; it is something I enjoy reading all the time and hope I am still playing in 45 years! I am grateful I had the chance to read about her passion for golfing. Basically, golf is more than just mainstream reports that contradict themselves week in and week out. The articles I like to read prevent me from jumping on and off the bandwagon. I will admit that from time to time I will read the main stream reports, but my preference goes much deeper. How about you? Are you tired of jumping on and off the bandwagon? ← If I Had a Choice…..
Jim, you nailed it. The golf news cycle is fast moving and is actually a microcosm of the greater news cycle, and is being driven by multiple social channels. Rather than doing well thought out interviews, most mainstream outlets are left scrambling for scraps and just repost Twitter content and call that news. It’s sad. As a reader and a writer I strive for fresh content and try not to get caught up in the daily soap operas and stuff that doesn’t matter. Sometimes it’s difficult. Keep filtering and good luck! You and I are on the same page. It is difficult to write about fresh topics, but when I read them the are worth repeating. Looking forward to your next post.